Italian inheritance law dates back to the Roman Law tradition. It is based on the principle that close family members of the deceased merit special protection, partially limiting the right of the testator to dispose of his/her own assets entirely as he/she wishes. “Testamentary succession” can be defined as the assignment of the hereditary assets (“estate”) of a deceased testator in compliance with the decisions of the testator as set out in an Italian Will. 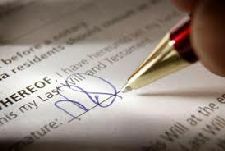 A Will represents the legal document drafted and signed by the deceased through which s/he disposes of his/her estate after his/her death. In case of foreign Wills, Italian law provides that they must be authenticated by an Italian Public Notary before executing the probate. Managing documents drafted in a foreign language and covered by a foreign jurisdiction in Italy can raise a number of difficulties. As a matter of fact, the notary will not publish or legalize documents drafted in a foreign language unless duly translated in Italian. This will most likely require a qualified translator/interpreter whose costs could be substantially higher than drafting an Italian Will. Drafting an Italian Will minimizes the risk of conflicts among heirs following the death of the testator. It also ensures that the Italian authorities have a clear and direct understanding of the legal framework. One of the principles of Italian legal succession is the protection of the family. As a result of this, some heirs cannot be excluded from the succession, these heirs are known as forced heirs, even in case of testamentary succession. A part of the deceased’s assets (reserved quota) must be assigned necessarily to forced heirs. Italian Civil Code determines exactly the inheritance quota available to the testator, that is to say which is the quota that he/she can dispose of without any limitation. Whether through legitimate succession or testamentary succession, a “Dichiarazione di Successione” (Statement of Succession) must be submitted within one year of death. Notwithstanding what has been stated before, it is also worth mentioning that in cases of non Italian citizens, the situation could also enforce different legal provisions, and only a lawyer specialized in cross border inheritance issues can provide assistance in derogating the above mentioned regulations. This is another reason that why it is important to draft an Italian Will.